Breezer Bikes Inversion: Getting Rolling- by Grannygear If you were going to design a bike that could cover a mixed selection of surfaces including pavement that ranged from good to total junk, mild dirt, steep grades, and workhorse conditions, you would be putting pen to paper and drawing out what many would call an All Road bike. If you were wise, it would be made of steel and have comfortable geometry, tire capacity to get a bit boonie-ville with your ride route, and with low enough gears to pull it all off. But it can’t be a tank either, right? So a bit of refinement is required so all the fun is not sucked out of that upcoming road century ride. That is what I would spec if I were designing an All Road bike. And then I could have it built, or I could just buy the Breezer Inversion Team and save myself lots of time. Joe Breeze is a name that rings right there with all the greats of mountain biking’s beginnings: Breeze, Potts, Ritchey, Fisher, Cunningham, Cook brothers…all astride clunkers attacking tilted dirt fire roads with smoking brakes and patched and welded frames trying desperately to survive till the next run. Necessity being that mother to all inventors, torch was put to tube so frames would not break and the MTB was born. 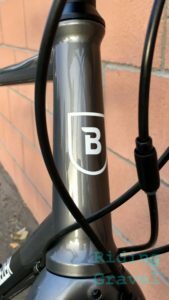 The Breezer name lives on, these days a part of Fuji Bicycles, and seems like it has been searching for it’s soul over the last few years. Gone are the Breezer branded carbon bikes and the full suspension MTBs. 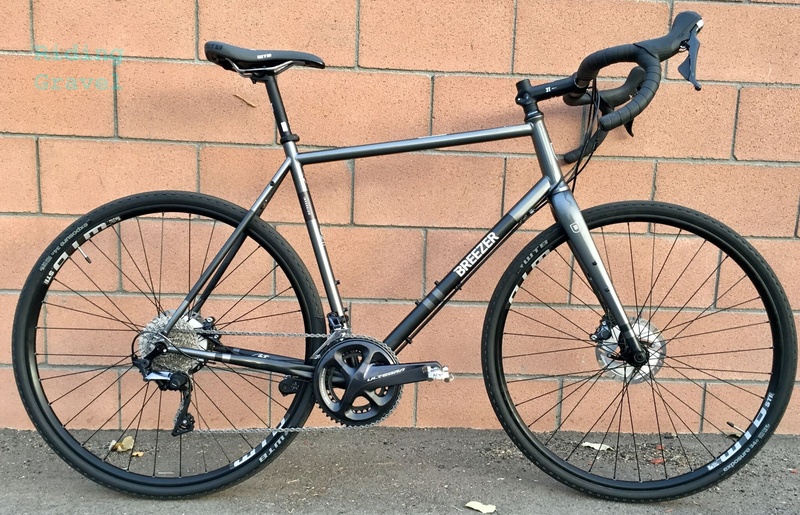 Present are steel and aluminum bikes for commuting, city use, gravel/adventure, and this one, the steel Breezer Inversion Team All Road. What It Is: I have a size XL Breezer Inversion Team on hand and I will be running this bike though it’s paces over the next couple of months. I will be testing it along the lines of how Breezer sees this scooter. From the Breezer website: The Inversion is designed to cover distances fast while offering the stability and tire clearance to handle gravel or bad roads with ease. Featuring Japan-sourced, seamless-drawn hydro-formed JFE tubing, the heart of the Inversion truly represents the pinnacle of steel for ride quality. Old-world soul with new-world technology yields a timeless experience while in the saddle. 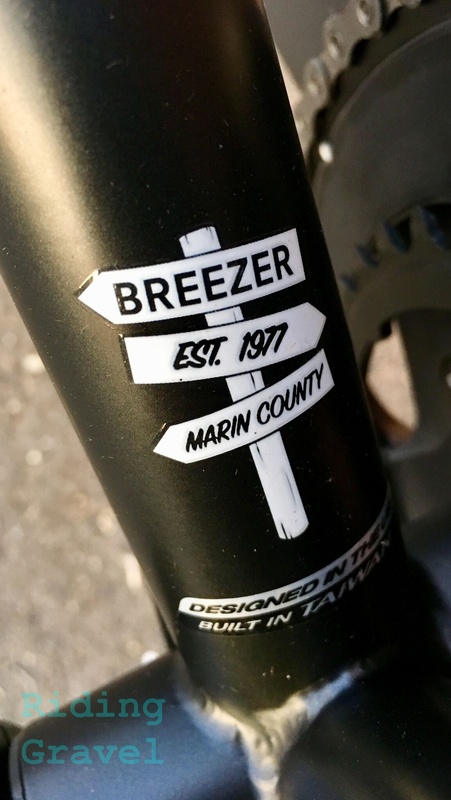 Breezer Steel 4130 CroMo: The material Joe started with, and still the staple material that most Breezer bikes are constructed from. 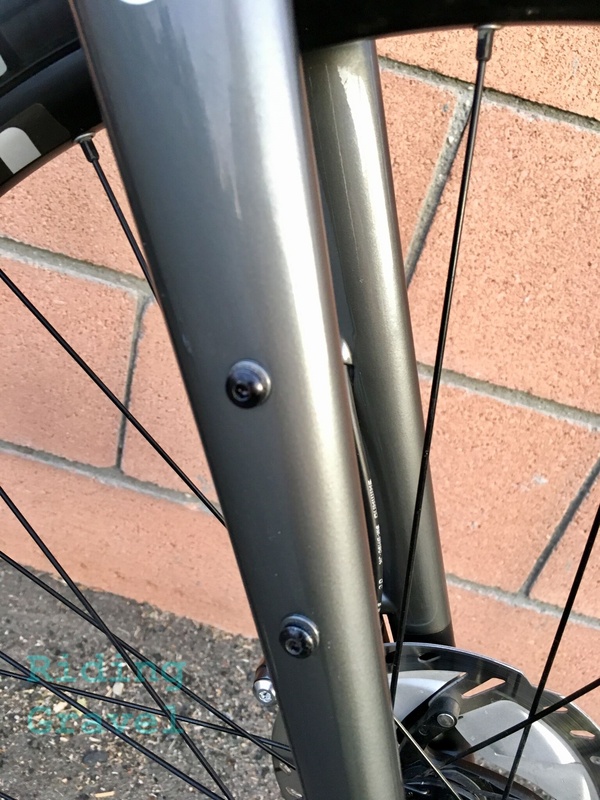 Chromoly tubing has earned its place in cycling’s list of top-rated materials as it offers incredible strength-to-weight properties, up to 5 times the fatigue & tensile strength of 6061-Aluminum, while also offering excellent ride quality characteristics. Add to this the ability to repair the material after welding and you can understand why adventure riders have trusted this material most to safely carry them around the world for decades. Beyond that, the tubes are highly manipulated beyond simple butting profiles. JFE STEEL TUBING: Used on flagship Breezer models, we source special, untreated tubing straight from one of the largest steel producers in the world based in Japan. We do this as it allows us to modify the outer shape and thickness of the tubes in ways that can’t be done with off-the-shelf pre-treated tubing. The biggest advantage is the ability to hydroform the tubes to create our D’fusion tube profiles. This process requires special control of the tube temperature for forming that result in a shape that offers greater rigidity for the tube junctions without added weight. 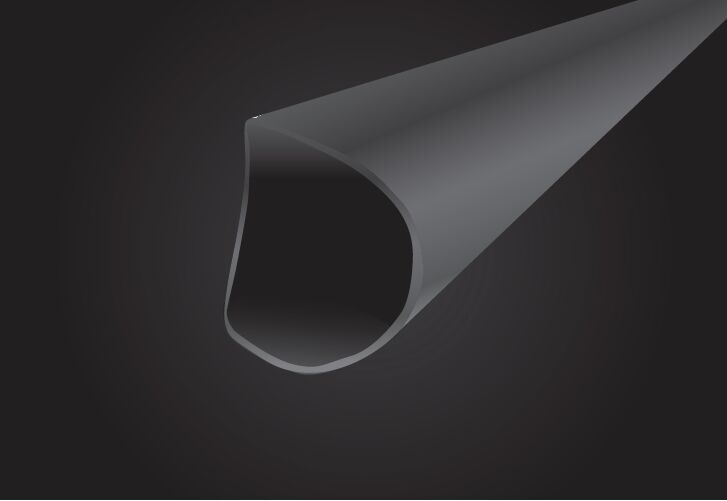 D’FUSION TUBING: Breezer D’Fusion tubing uses an extensive hydro-forming process to shape the ends of tubes that connect critical points in the frame. This process strengthens Breezer frames with a unique D-shape profile that eliminates the need of added weight and material by utilizing the tubing’s broad radius section (the flatter portion of the D) to allow stress to flow through a broader area, reducing the risk of fatigue. Along with the added strength benefit, the forming process also helps deliver the light and lively ride quality that Breezer frames are famous for. You can see and feel the shaped tubes. Joe Breeze knows steel and how to get it to perform well. 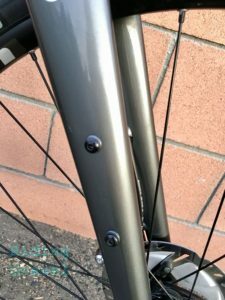 Obviously he is working within the boundaries of a production bike at a moderate cost, but it reminds me of the tech that Tom Ritchey puts into his frames. Very nice for the money, in fact it is an interesting comparison between the two bikes since I just recently had the new Ritchey Outback in ‘da house. 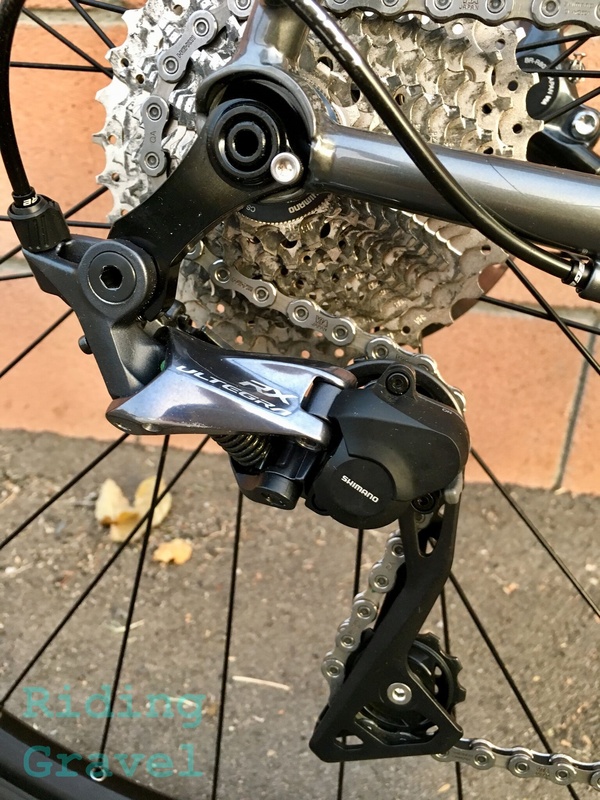 Beyond that we have Shimano Ultegra R8000 with the RX version rear derailleur. That one has a clutch in it from the MTB line of parts. Very nice to see that, although it has the most value with 1x systems. An 11-34 cassette paired with a 50/34 crank gets you a 1 to 1 low which is pretty versatile. The wheels are WTB rims in the new i21ST Light version, tubeless ready of course. 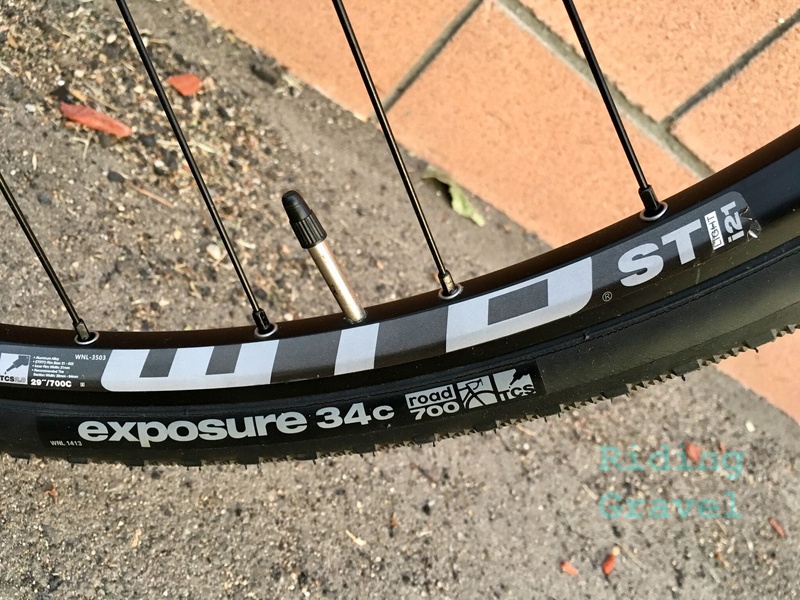 The tires are a 34mm all rounder, the WTB Exposure, also tubeless ready. The bike came with tubes in place. A 3T/Oval cockpit and WTB Volt saddle completes the touch points. First Impressions: The bike has a very understated look about it. I do miss the graphics where Breezer was in more of a script font. Just looked more elegant to my eyes. Progress, I suppose. But the grey and black tones are nice and easy to get along with. The elegantly shaped tapered head tube. 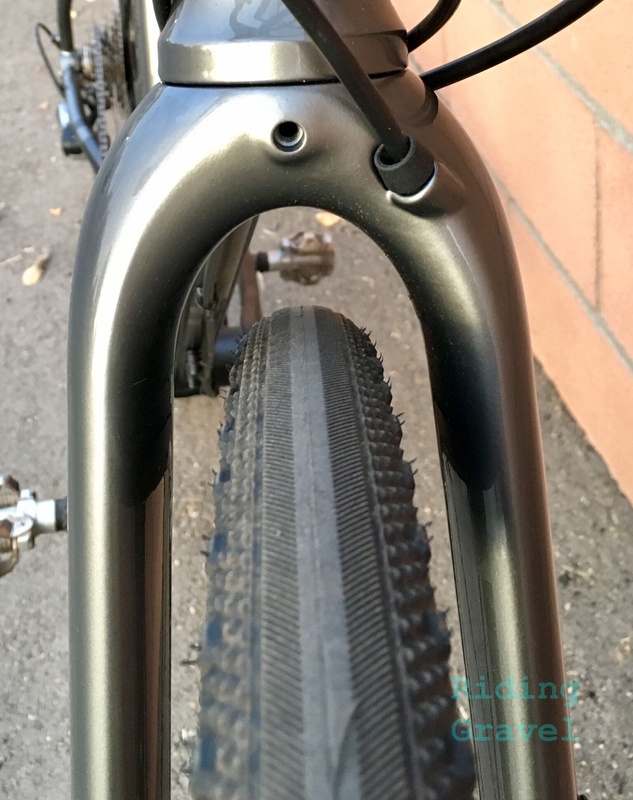 The tapered head tube blends well with the carbon fork and smaller diameter frame tubing. It’s a pleasing bike to look at overall, with a compact, sloping top tube. The suggested retail of the Breezer Inversion Team is $2849.00. 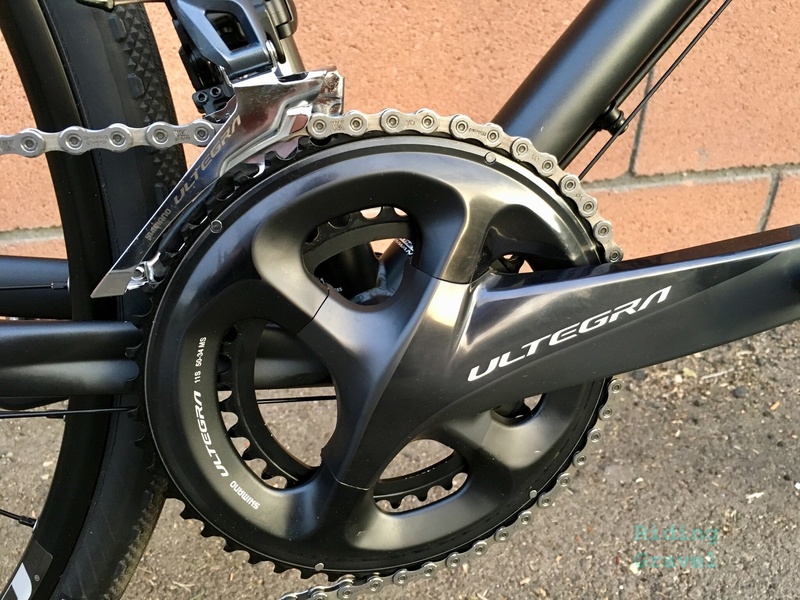 When you look at Ultegra bikes like this, you are typically well over 3 grand in a carbon framed bike. This seems to me to be a good price point, but I suppose you could do better in an aluminum frame if you are all about that. I tossed on some SPD pedals and put it on the scale of truth and justice: 23 pounds pretty much, so take close to a pound off that for the pedals. 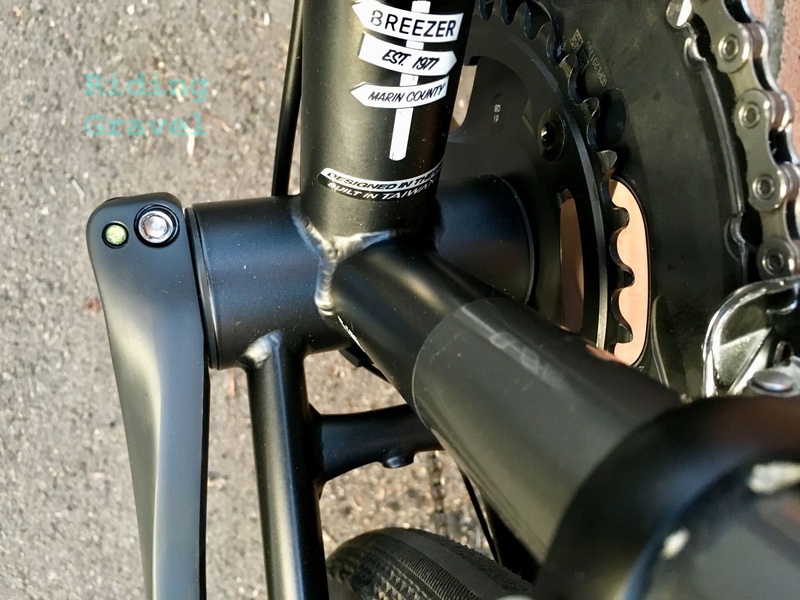 I do not expect steel to be light, not like carbon light anyway, but this Breezer is right where my Ti bike is pounds wise. I am more concerned about the bike as a whole, how it rides, etc, than a weight number, so for this target audience, this weight is a good place to be. I will be on this after I get it set up to my liking. I will be swapping in some bigger tires to check for fit/clearance and I will be running it with some WTB Byways in the 650Bx47 size. More on that and how it is to ride soon, as I have been clocking miles on it already. Hint…liking it. NOTE: Breezer Bikes sent over the Inversion Team at no cost to Riding Gravel for test and review. We were not paid, nor bribed, for this review and we always strive to give our honest thoughts and opinions throughout. 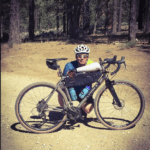 Gg – Nice bike! No one appreciates Shimano cranks and their shifting more than me. However, until Shimano introduces proper gearing for gravel, I wouldn’t use that crank. It seems a better choice would have been the Praxis crank with sub compact rings. That’s exactly what Giant did with the Revolt 0. As usual Shimano is super slow to react but eventually they will. @Joey Brown…Indeed. Shimano’s ship takes a looong time to turn to a new heading. 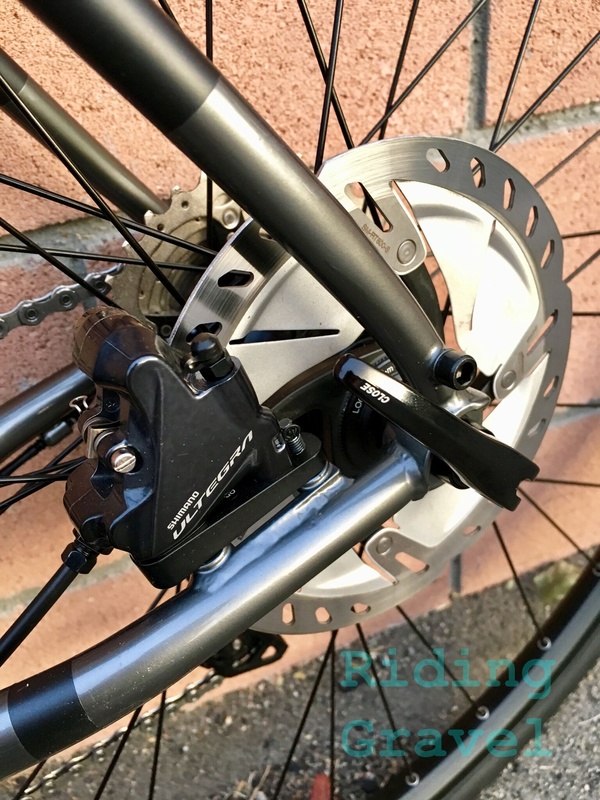 Yes, they are sorely lacking in gravel bike gearing…however I might suggest that they already have a fine set up in the Cyclocross 46/36 set-up, providing that is matched with a deep cassette. I run a cross crank set with an 11-36 cassette and with some mods could do an 11-40 (SRAM Double Tap or Shimano). 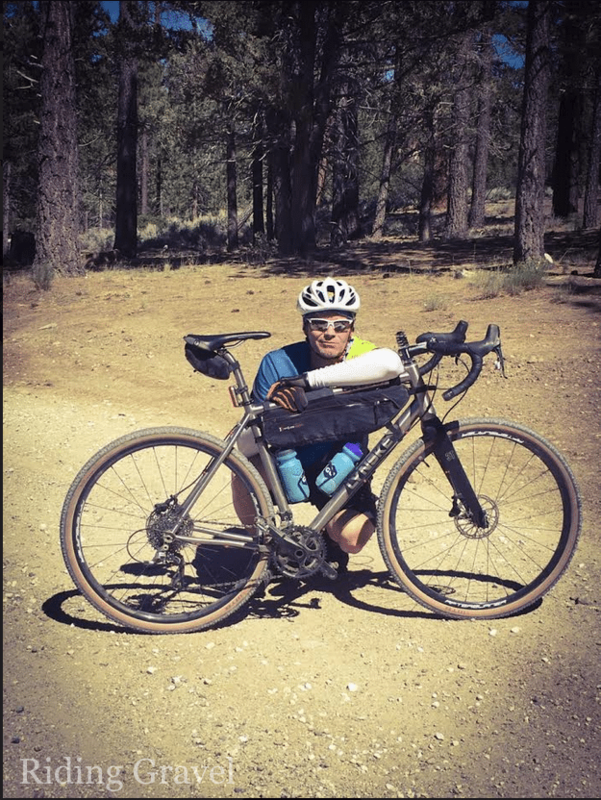 I cannot imagine what a 50T big ring is for on a gravel bike, but then different strokes, etc. That said, for this bike and the All Road approach I think a compact set up makes sense although a 48/32 would be keener. 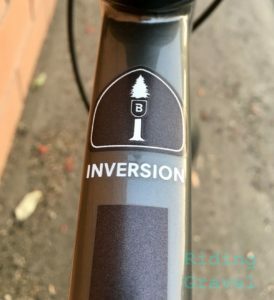 In 2018, the Inversion Team came with the Praxis Zayante crankset and BB, which I like. It also came with WTB i23 rims, which I’m not sure I like in this application. I’d prefer a DT wheelset, to shed some rotational weight. You didn’t mention about Breezer’s fit, so I will. Breezers have compact geometry with long cockpits. I’m 5’10” and had to move down to a 51 Breezer.